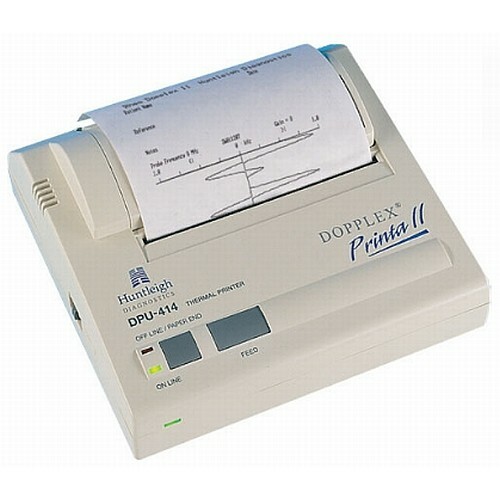 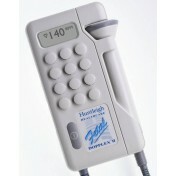 The Huntleigh Dopplex Printa II is a portable battery thermal printer available as an accessory for use with the Rheo Dopplex II, Multi Dopplex II, and the Fetal Dopplex II. 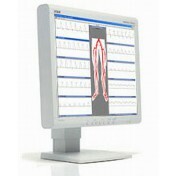 The Printa II makes documentation of bi-directional waveforms and Photoplethysmography (PPG) curves, if the doppler unit supports it. 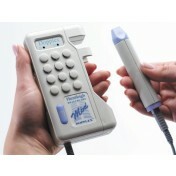 When used in obstetrics, the Printa II makes reports on the Fetal Heart Rate (FHR), and fetal movement. 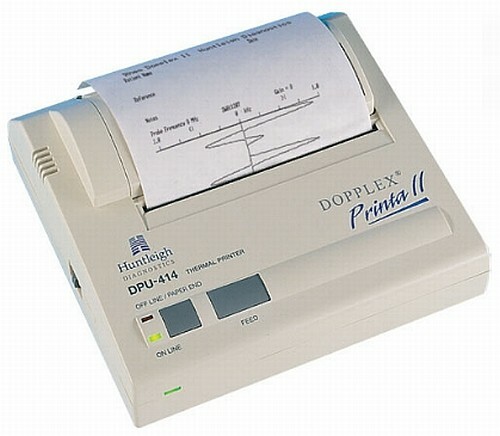 The Printa II makes reports in a conventional FHR trace format. 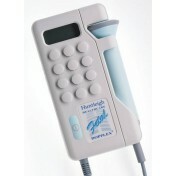 This allows documented fetal non-stress testing to be performed. The documentation of patient information can put in the patients notes which can be useful in areas where reimbursement is applicable. 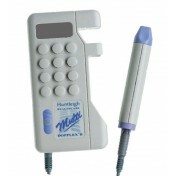 Quite satisfied with this product.